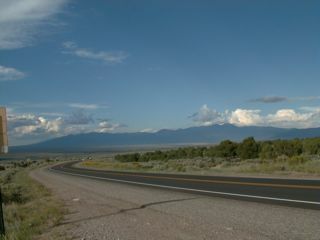 Taos is actually made of up three villages. 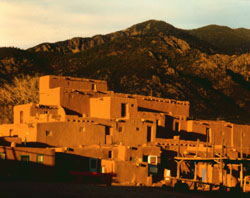 Pueblo de Taos, home of the conservative Taos Indians, remains as it was before the Spanish Inquisition. 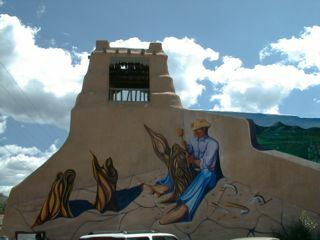 Taos, proper (legally Don Fernando de Taos) is the original Spanish town that is now a center of art and tourism. 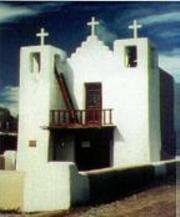 Ranchos de Taos is the farming community whose massively buttressed mission church is one of the most frequently depicted structures in the state. 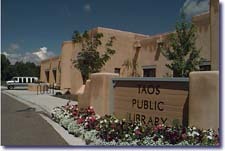 This is the Taos Library...a prime example of blending new with old. 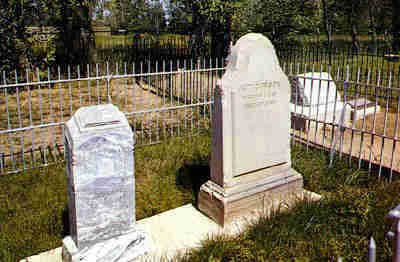 This is the home of Christopher Houston Carson, better known as "Kit" Carson, frontiersman. "Kit" Carson died in Taos at the age of 59. 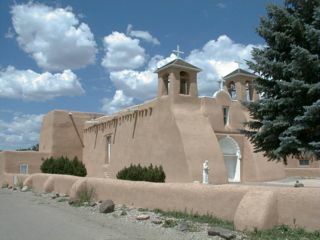 The ruins of Mission San Geronimo de Taos stand near the entrance of Pueblo de Taos. All that remains are sections of the massive walls and a portion of the bell tower. 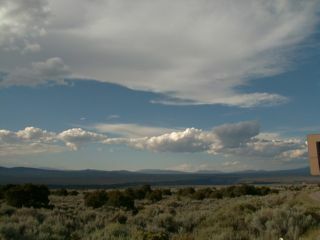 Warm days and sunny skies truly describe Taos 300 days a year. They do nothing to describe the mountain that sits just north of the town. Nearly 3000 vertical feet of skiing steeps, bowls, moguls, trees and chutes. It rivals any ski area in the U. S. It does have enough gentle slopes to allow the skier to admire the terrain without being afraid of it. 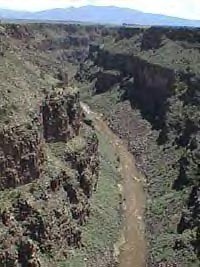 The extrusive volcanic flows created a perilous stretch of country that, until the 1950's, was limited to grazing livestock in the canyon depths. You can see the edge of the gorge in the distance. In the 50's and 60's, there were proposals to dam the river into the gorge for producing hydroelectricity, but nothing ever came from it. Here we can look down into the gorge. Awesome, isn't it? 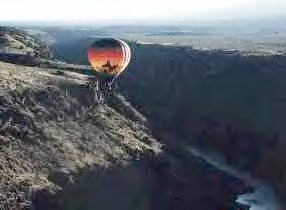 A hot air balloon floats lazily over Rio Grande Gorge. 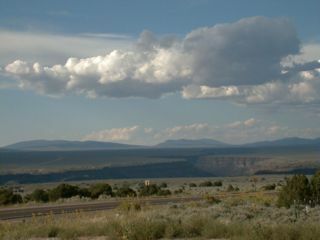 This brings our tour of New Mexico, Land of Enchantment, to a close. We hope you've enjoyed your trip. This tour presented by Marcy and Joe.